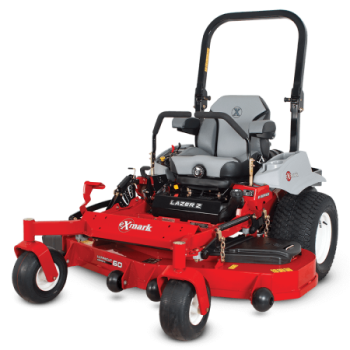 Should Your Next Commercial Mower Have Fuel Injection? When electronic fuel injection was introduced to automobiles in the mid-1980s, it let cars make more power while still meeting emissions and fuel efficiency regulations. Today, we’re seeing the same switch in the landscaping industry with large commercial mowers. What benefits can you expect to see with one of these engines, and is it worth the cost? We run our mowers on fuel designed for fuel injected vehicles, and that’s been causing some problems with modern fuel formulations. If the fuel contains ethanol, it will absorb moisture from the air, leading to corrosion. If the fuel doesn’t contain ethanol, it degrades quickly, turning into wax and lacquer. Either way, the fuel will go stale quickly, leading to problems starting and running the engine. Long term storage, even with treated fuel, will result in either needing to clean off corrosion or cleaning out the fuel system and rebuilding the carburetor so the engine can get the fuel it needs. A carburetor uses the Venturi effect to mix fuel with the air. As air passes through the carburetor, a small needle drips fuel into the Venturi chamber, a constricted area in the intake. As the air goes through this small tube, its pressure increases. Immediately afterward, it goes into a larger tube, dropping the pressure and atomizing the fuel. This works fairly well, but not all the fuel gets properly mixed, and it’s harder to get the fuel to atomize when it’s cold. A fuel injector sprays gas into the intake runner during the intake cycle. This fine spray atomizes the fuel immediately, and just the right amount of fuel is added to the air to get a clean burn. This makes the engine easier to start and keeps emissions low. More importantly, it reduces fuel consumption by around 25%. For most operators, this means they can get back the added cost of an EFI system in one or two seasons, even at today’s low gas prices. Since it doesn’t pick up unburnt fuel that would have been left behind by a carburetor, the oil stays cleaner longer, reducing oil change intervals. These engines come with diagnosis systems similar to what you’ll find on your car. By plugging in a computer, the repair technician can get information including fuel pressure, engine temperature and air/fuel ratios for fast diagnosis. Better fuel mixtures mean more power across the board. On average, an EFI-equipped model will make one to two horsepower more than its carbureted equivalent while having a wider torque band. Since the fuel mixture can be altered by the ECU, fuel injected engines can adjust to load changes quickly, keeping the engine from bogging down when starting a new pass or going over tall weeds. Since the system can also adjust fuel to match incoming air, it doesn’t need modification to work at high altitudes, and it loses less power. Briggs & Stratton Vanguard offers EFI versions of their 810cc V-Twin and Big Block V-Twin, offering engines ranging from 24 to 37 HP. Kohler’s Command PRO EFI engines are available with outputs from 19-35 HP. The liquid-cooled Aegis series is available in 27 and 30 hp versions, although these engines find most of their use in heavy-duty equipment rather than turf applications. Kawasaki offers EFI as an option on the FS730V, FX730V, and FX850V, ranging from 25.5 to 29.5 hp. Two of the brands we carry, eXmark and Scag, have several models with available EFI engines. eXmark’s offerings include the mid-deck Lazer, front deck Navigator, stander Vantage, and walk-behind Turf Tracer mowers. Scag provides the EFI on the Turf Tiger II, Cheetah, and V-Ride II mid-deck ZTRs. Looking for an EFI Engine? Talk to Shank’s Lawn. Shank’s Lawn Equipment has helped professionals with their landscaping equipment for over 30 years, so we know what works. If you’re looking into buying a fuel injected mower or you need to have your EFI engine services, visit our shop, located at 4900 Molly Pitcher Highway in Chambersburg, PA. That’s just off I-80 near Marion. We’re a certified dealer for Vanguard, Kohler, and Kawasaki as well as many of the equipment brands they power. Need parts for your engine? We ship across the U.S. and Canada. To order, visit us at www.shankslawn.com. This entry was posted in Uncategorized and tagged Commerical Mowers, Fuel Injection, Shanks Lawn Equipment. Bookmark the permalink.